We look at the pros and cons of each office style, from cubicles to pods. 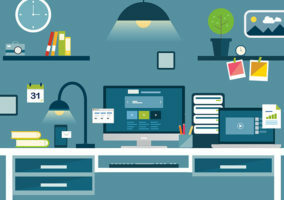 Office layout isn’t just about cramming in as many desks as possible until you have to hold your breath to squeeze between them. Your office layout can help or hinder your day-to-day tasks and it can affect the entire working atmosphere of your call centre. 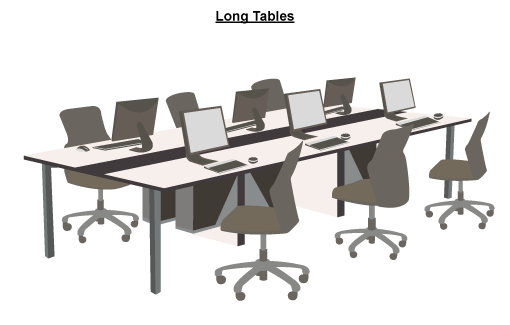 A common option that consists of a large desk divided up with panels into several square workspaces. Efficient use of floor space. Anyone who’s ever played Tetris will know that square blocks waste the least space. This makes it convenient for cabling too. Noise reduction. Separating panels stop calls being obscured by background noise. Cost effective. 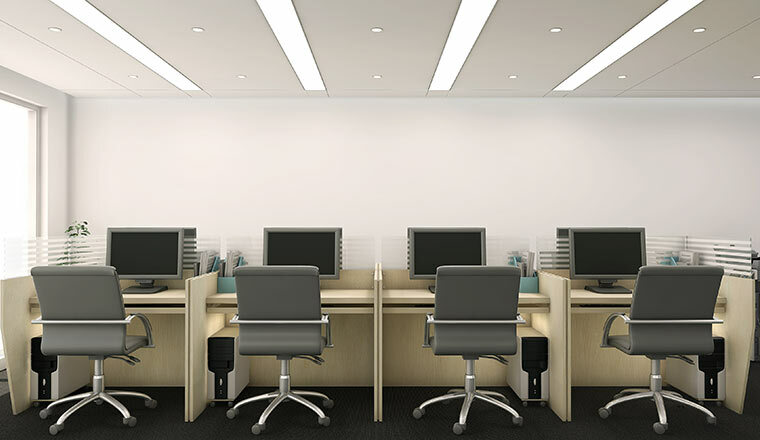 The furniture is relatively cheap to buy and gets the most out of what you pay for office space. Feels lonely and claustrophobic. This isn’t the best layout for a happy office. Sitting in a square box all day, unable to see your colleagues, can make agents feel a bit like battery hens. 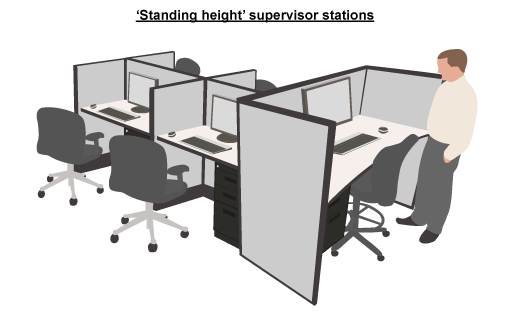 An elevated desk that seats a supervisor a few feet higher than the rest of the office. Kind of like a sitting at a bar, but with fewer elbows and drink spillages. Gives a good view of the office. It’s easy to see what agents are doing and when they need help. Makes the ‘up and down’ nature of the job easier. 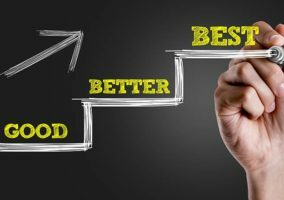 Supervisors are forever getting in and out of their seats – working on their computers and walking the floor. Being already at standing height makes it less of an abs workout. Loss of privacy. Being able to see all around the room is all well and good, but you won’t see much from behind a segregating panel. Take the panels down and suddenly everyone can see everything you’re doing and hear what you’re saying. Feels a bit imposing for agents. This is more of a body language thing – sit at a higher desk than your agents and you’re literally ‘looking down on them’. A circular or hexagonal-shaped desk in which the workspaces are separated by panels into ‘pizza slices’. Feels more ‘open’. Compared to square cubicles, pods feel much more spacious and collaborative. Supervisors can see much more of what’s going on too. Looks good. Circles are fundamentally more pleasing to look at than squares. Also, most pods will have a solid block in the middle on which you can put flowers or other decorative items to make each pod unique. Good use of desk space. The desk space you actually use in a pod is more of a trapezium shape than a square or a triangle. This fits better with the reach of your arms – more elbow room and less redundant corner space. Doesn’t maximise office space. Can you imagine throwing a hexagon into a game of Tetris? 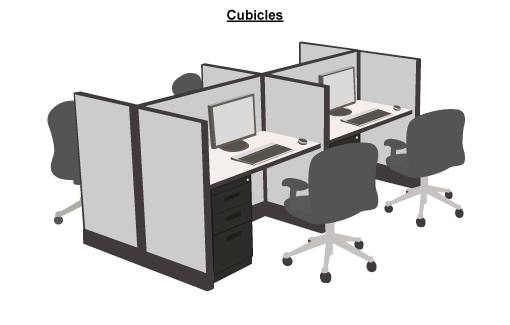 They’re not space efficient – square cubicles will always give you more agents in one office than hexagonal pods will. More expensive. The furniture itself is relatively expensive, but that’s a one-time expenditure. It’s the ratio of agents to office space that’s ultimately more costly. Just a long table with agents sitting along it. Cheap. It’s not going to cost much to just buy a few basic tables. Very open for collaborative working. If you’re not using dividing panels, you’ve got a very interactive working environment. Easy to move. Light tables that have wheels are really flexible if you need to change your office layout regularly. Noise is a problem. If you run a call centre with no segregating panels, you’re going to have a lot of background noise. Wires are a problem. This negates most of the benefits you get from the tables being easy to move. Unless your agents are working from laptops and wireless headsets, wires are a nightmare to hook up on tables that aren’t designed for it. If you need to keep costs down, go for cubicles. For a pleasant, interactive office environment, try pods. If you need to watch your agents like a hawk, sit at a raised desk. If your office layout is forever moving around and you really need to keep costs down, stick to the good ol’-fashioned long tables. 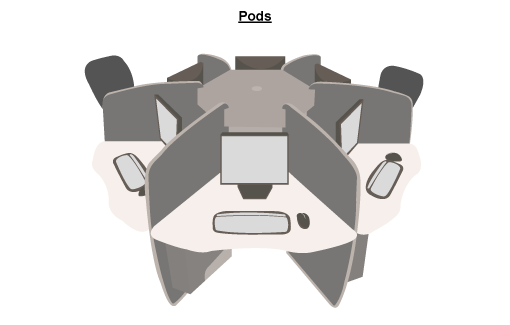 I totally agree with the choice of Pods. The configuration is flexible, you can have as few as 4 or as many as 6 individual stations, and these were all able to be completed using standard product sizes. Be sure that your panels are the noise reducing type, and you will be amazed and the reduction in overflow conversations. Our teams loved the bit of extra space behind their monitors – we added plants, task lights, etc. to meet their individual needs and improve the esthetics.